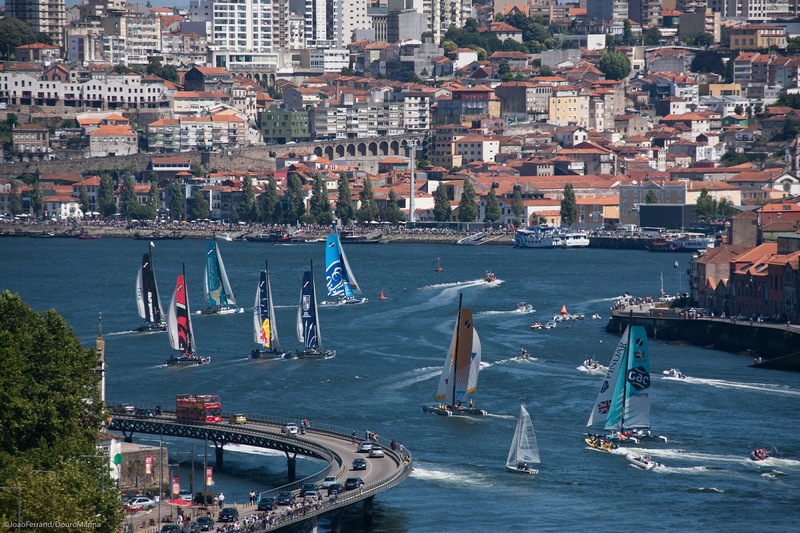 Eight Host Venues spanning the Middle East, Asia, South America and Europe have been announced for the 2013 Extreme Sailing Series, marking the third year of truly global competition for the circuit first launched as a European only event in 2007. 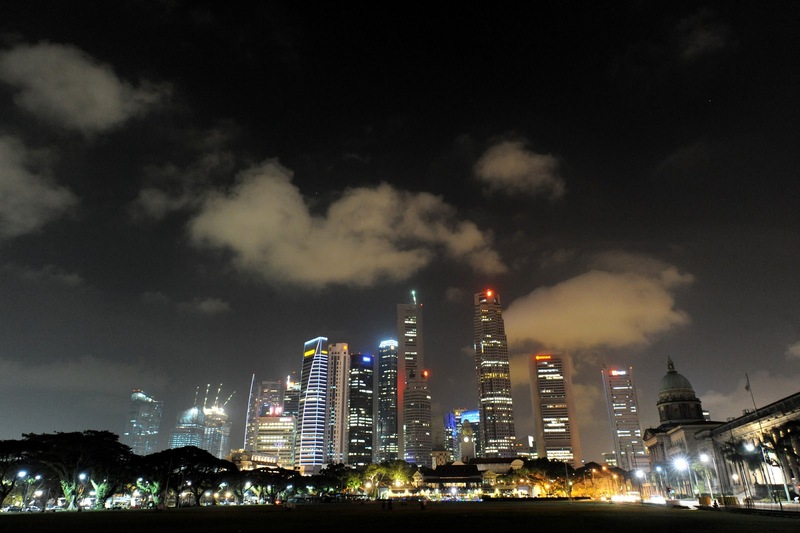 The Series’ award-winning Stadium Racing format will return to all seven of the intense stadium arenas from 2012 with Singapore returning as a venue after hosting successful test and exhibition events in 2010 and 2011. Eight iconic locations, on three continents. From the Series opener to be staged 5th-8th March at The Wave, Muscat in Oman for the third consecutive year, to the grand finale in November on the 2016 Olympic waters of Rio de Janeiro, the Extreme Sailing Series rhythm beats regularly with one exciting Act in an iconic location roughly every five weeks. Early March, some new faces and teams will line up against the more seasoned crews for the first time on the home turf of defending Series champions The Wave, Muscat, once again skippered by Leigh McMillan. Next stop is Singapore where the fleet will race within the confines of the world-famous Marina Bay. Flanked by a 3.5km waterfront promenade and situated in the heart of this high-rise cosmopolitan city, Marina Bay provides a picture-perfect natural water stadium for the Extreme Sailing Series, in what is likely to be a tense light winds event. In May the fleet returns to China’s ‘Olympic Sailing City’ Qingdao, China’s premier sailing destination that boasts first class facilities at its International Sailing Centre ensuring the Olympic legacy is still very much alive in this sprawling city. 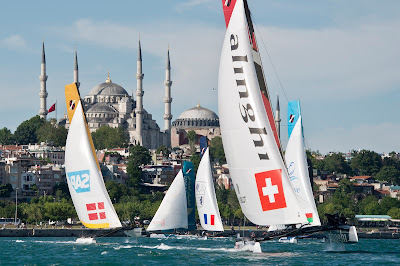 The waters separating Asia and Europe will host Act 4 in the magnificent and cultural city of Istanbul, Turkey, prospective Olympic Host Venue, before the customary European component of the Series starts. 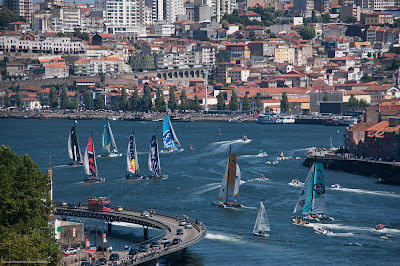 Porto, Portugal, with the most compact and windy racecourse of 2012, will host Act 5. Then it’s onto Cardiff, capital of Wales for the Cardiff Harbour Festival where the Extreme 40s will race on Europe’s largest waterfront development over the UK August bank holiday weekend. Nice, on the French Riviera will be the final European stop early October before the fleet heads back to Rio de Janeiro, Brazil for the concluding Act of 2013, which less then eight weeks ago hosted the 2012 finale. It is high-speed, adrenaline-fueled racing on intense stadium race courses which, without compromising the sporting integrity of the racing, has now been watched first-hand by over 1 million spectators on site at venues around the globe. Some longer distance ‘coastal races’ and a Saturday evening special format race will be added to the 2013 event mix. Retaining the same successful format as previous years, racing will take place over four days: one day of potential open water racing followed by three days of stadium racing open to public and VIP guests. The free public Race Village in each venue will continue to expand the on land entertainment experience, which in Muscat will include Red Bull free runners, a family activity area, ‘try sailing’ sessions for local school groups and a football tournament which in 2012 attracted 130 local teams. Sailing fans around the world will be able to watch the stadium racing as it happens on the online live video stream enhanced by SAP analytics and including expert commentary from each venue. As one of the best value for money sailing sponsorship opportunities, with eight international markets, a 2012 media value projection (still being collated) of €30million and a premium VIP experience, including the money-can’t-buy Guest Sailor spot onboard the Extreme 40s, the Extreme Sailing Series continues to attract world class teams and a host of commercial partners including Series, Host Venue and local event partners in each venue. The Host Venue tender process for 2014 will open shortly, with potentially up to five new venue slots available, due to venue deals coming to the end of their initial terms.